Christmas promises to be a wonderful time for anyone selling property in Battersea or Brixton. While spring and summer are the busiest times for home hunters, it’s not always the best time to sell. Here are 5 reasons why homeowners in Battersea and Brixton could receive a higher offer for their property if they put it up for sale in November. January is traditionally the month when the property market in Battersea and Brixton wakes up from its end-of-year slumber and a significant number of homeowners put their flats and houses on the market. Far fewer properties, on the other hand, go on the market in November and December. This means homeowners selling their property at the end of the year can take advantage of a shortage of desirable properties available and attract the attention of serious buyers. Trade website Today’s Conveyancer has reported that with a lower number of homes coming to market, competition among buyers is increasing – especially in locations in easy reach of central London that are popular with families and young professionals, such as Battersea and Brixton. Even if your home does not receive an offer before 25 December, it will be seen by the millions of people going online on Christmas Day, Boxing Day and New Year’s Day. Property website Rightmove revealed that in 2014 over 1 million people took time out from unwrapping Christmas presents and eating turkey to go online and look for property on Christmas Day, with this figure increasing by 53% on Boxing Day. These figures sky-rocketed on New Year’s Day with over 2.2 million potential buyers searching for homes and by 2 January 2015 almost 3 million people were using the smartphones, tablets and laptops they received as Christmas gifts to look at homes for sale. Those figures are set to rise higher this Christmas after Rightmove revealed that the nation spent the equivalent of over 2000 years browsing its website in January 2016 alone. While online marketing gives your property global exposure, the majority of sales in Brixton and Battersea are to buyers who already live in or know this part of London. Placing an Eden Harper For Sale board outside your house or flat will alert local viewers of its availability when they take time off work during the Christmas period. This could be a missed opportunity if your property goes on the market after the bulk of Britain returns to work in early January. Britain’s vote to leave the EU has made property in London particularly attractive to overseas investors because of the value of the pound has plunged against the US dollar and other currencies. While overseas investors snapping up homes in central London often grab the headlines, there is growing evidence to suggest that they are widening their search for an ideal property to areas like Brixton and Battersea. The effects of Britain voting to leave the EU is not just encouraging overseas investors to buy homes in Wandsworth and Lambeth. The Royal Institution of Chartered Surveyors reports that confidence is now returning to the property market due to the reduction of the Bank of England’s base rate to a record low of 0.25%. 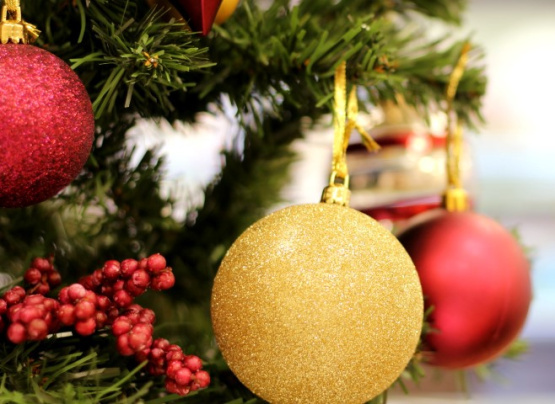 Many homeowners are put off placing their property on the market until after the New Year because they do not want viewers over the Christmas period. When owners launch their house or flat on the market with Eden Harper, we take care of every aspect of the sale. This includes instructing professional photographers, drawing up floorplans, advertising on property search websites, sending out details of your property to our database of would-be buyers in the area, conducting accompanied viewings, notifying you of offers immediately and keeping you up to date on the conveyancing process. Those viewings can only take place with your permission and if you don’t want a potential buyer to interrupt your Christmas holiday, we will arrange a time that is convenient with you. For details of how Eden Harper can maximise the value of your property in Battersea and Brixton, contact us today to arrange a no-obligation valuation of your home.